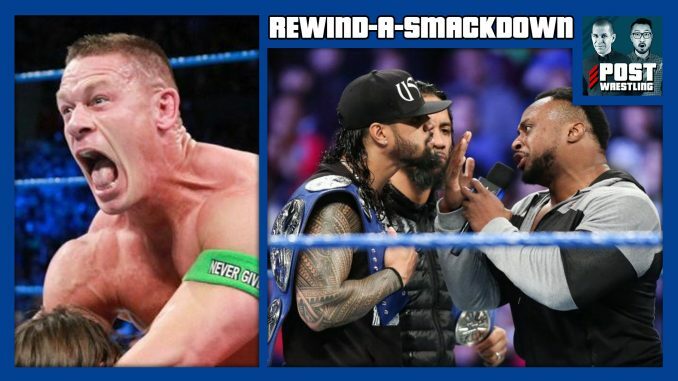 John Cena takes on AJ Styles for a spot in the main event of Fastlane, The New Day and The Uso’s engage in a heated promo exchange, Ruby Riott vs. Naomi, Aiden English vs. Shinsuke Nakamura, and Daniel Bryan decides to leave work early. Quarter-final matches take place on the Mixed Match Challenge and 205 Live featuring Finn Balor/Sasha Banks vs. Miz/Asuka, TJ Perkins vs. Cedric Alexander and Roderick Strong vs. Kalisto. We also recap Jon Jones’ CSAC hearing from earlier today.